I must admit it's been a while since I was actually intrigued by a new beer from Sam Adams. I actually was kind of surprised it took Sam Adams this long to make an IPA. 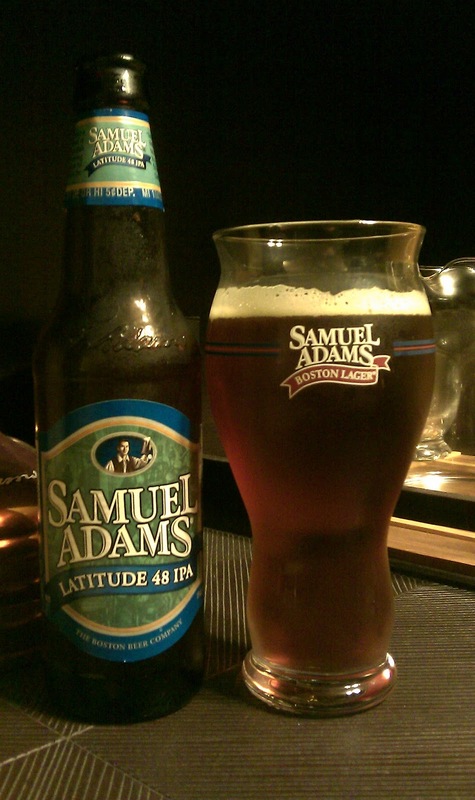 The Samuel Adams Latitude 48 IPA is the IPA that Sam Adams has finally released to the world. This was worth the wait. Latitude 48 is a good transition IPA for people who are new to the style. It is hoppy while not being overly so with a malty base to cut the bitterness. If IPAs are your bag I would say this one is at least worth a try. For sure not the most groundbreaking beer but a good submission into the IPA category.